1.1 www.moodcollections.co.uk is a website (“site”) operated by Mood Collections Limited. “Mood Collections” and “Mood” are trading names of Mood Collections Limited (“we”, “our”, “us”), registered in England and Wales at 72 Fielding Road, London, W4 1DB. Our Company Registration Number is 105500487 and our VAT Registration Number is. 269195068. 4.1 When you have placed an order with us, you will receive an “Order Confirmation” via email confirming that your order has been accepted, which will form a “Contract” between you the customer and us Mood Collections Ltd.
4.1(b) Please read your Order Confirmation carefully to ensure that your personal details and order details are correct. If you notice any errors, please get in touch with us at customerservice@moodcollections.co.uk immediately. Failure to do so may result in further charges when we come to deliver your order. We cannot be held responsible for incorrect orders for which we have not been notified. 4.1(c) By placing an order and/or making a payment, you are deemed to have fully accepted our Terms & Conditions. 5.1 All descriptions of products are correct at the time of publication. We have a policy of continuous product development and reserve the right to amend the specification of products without prior notice in relation to future sales. 5.2 Beds and Mattresses are sold separately. All bed prices shown do not include a mattress. 5.4 Wood reacts to sunlight and changes in temperature and humidity which can also cause solid wood to warp or split. Leather may not be uniform in colour or texture and may show natural marks and scars on the hides. Leathers and fabrics may fade with exposure to direct sunlight. 5.5 The website images are there to give you an idea of what the final product will look like. Fabric colours and textures, tinted mirror and painted glass will look different on every screen depending on your screen settings. Every effort has been made to feature a true to life representation of the product. When ordering upholstered furniture, please make use of our free fabric sample service to be sure that your chosen fabric is true to the colour and style that you desire. 6.1 All of our made to order handcrafted upholstered furniture and mirrors come with a 5 year manufacturing and construction guarantee. 6.2 The 5 year guarantee excludes stock mirrors, cushions, throws, accessories, bedlinen, lighting and occasional furniture as well as goods purchased from our clearance sections or ex display items, this does not affect your statutory rights. 6.3 This guarantee does not cover fair wear and tear, cosmetic deterioration (including the natural aging of constituent materials), neglect, abuse or misuse of your goods. 6.4 A decision on the replacement or repair of your product will be based on the review of photographic evidence provided by you, the customer and/or a visit to your home for closer inspection. 1. Wood reacts to sunlight and changes in temperature and humidity which can also cause solid wood to warp or split. 2. Leather may not be uniform in colour or texture and may show natural marks and scars on the hides. 3. Leathers and fabrics may fade with exposure to direct sunlight. 1. Any scratches, chips or other marks in the glass must be reported immediately with pictures before the courier leaves to ensure that these were caused either during manufacturing or delivery. Any damages which are not reported with supporting evidence will be deemed to have occurred whilst the items are in your possession and therefore will not be accepted as manufacturing faults. 3. If your product does not look as it does on the website image as these images are indicative of what the final product will look like; tinted mirror and painted glass will look different on every screen depending on your screen settings. 4. All patterns on mirrors and mirrored products are created by hand, therefore each one will be different and unique to those on the website. 6.8 Our guarantees only apply to goods delivered to mainland UK. If the goods are removed from mainland UK and you wish to claim under the terms of the guarantee, you will be responsible for any additional shipping costs. 7.1 We can accept cancellation for stock items at any time up to delivery. 7.2 We can amend your order, including your required delivery date during the first 14 days after the order has been placed. After this time we cannot amend your required delivery date or accept cancellation of special order products. 8.1 The price of any Products will be as quoted on our site except in cases of obvious error. 8.4 In the event that a price was incorrectly published on our website, we are under no obligation to provide the Product to you at the incorrect (lower) price, even after we have sent you an Order Confirmation. In the instance that the correct product price is higher than the price you purchased it at, you will be notified ASAP of any mistake and will be given the option to continue with the order at the correct price, or we will offer you a full refund. 8.5 For all orders payment in full is due at the point of sale. 8.6 Regardless of the method of payment, once payment of the order has been received in full, ownership of the product passes to you and you accept our Terms & Conditions. However, we remain responsible for the product until delivery. 9.1 It is important that you check whether the products will fit into your property before ordering - please use our product spec and dimensions on the relevant product page or contact us for more information. If the goods do not fit, you will be liable for getting the products back to us subject to clause 11.5. 9.2 We aim to deliver within 6 weeks of your order being placed. While every effort is made to meet this timeframe, delays can occur that are beyond our control. Where this happens, we will make you aware as soon as possible and will give you the option to proceed with the order, change your order or cancel the order for a full refund. 9.3 For orders of a singular upholstered furniture item (excluding headboards and footstools) and orders with multiple items that include upholstered furniture, mirrors and occasional furniture, we will book in our 2 man delivery service. Our 2 man delivery service is free of charge anywhere within mainland UK. Once your items are ready our delivery partner will send you a text message inviting you to book your delivery online from a selection of available delivery slots. If you have not booked your delivery within 24 hours, our delivery partner will call you to arrange delivery. You will be sent a text and email message to confirm your booking. You will receive a 2 hour delivery time slot the day before your delivery is due via text message and email. 9.4 Our delivery partners will arrange delivery of your goods with you personally and do their best to accommodate specific requirements, special requirements will be completed at an additional charge, paid directly by you, to our delivery partner. 9.5 Our free 2 man delivery service covers mainland UK only, based on delivery in our standard size vehicles. For deliveries, north of Glasgow and Edinburgh there will be a charge of £40, payable to the delivery company before your delivery can be booked. Deliveries outside of mainland UK in the Highlands and Islands will attract an additional delivery charge, this applies to Scottish postcodes: HS, IV 16-28, IV 40-63, KA 27-28, KW, PA 20-78, PH 15-50, ZE; plus, delivery to the Isle of Wight, The Isle of Man, The Scilly Isles and The Channel Islands. Further information on delivery charges is available upon request. Please contact customerservices@moodcollections.co.uk with your order and address details and we will be happy to quote. The delivery charge will need to be paid in full prior to your items being made. Delay in payment will result in your order being delayed or not going through. 9.7 Our standard delivery includes delivery to a room of choice with unpacking and removal of all packaging materials with a basic assembly including beds (maximum 20-minute assembly time is allocated for your delivery). This does not include hanging of mirrors. 9.9 Your room of choice and access to it must be clear with enough space to work in. If there is insufficient access or the room is not clear, our delivery partner will not be able to provide the basic assembly service. 9.9(b) Our delivery partner cannot move or dismantle existing furniture. Please do not dispose of your old bed until your new one arrives. If you do dispose of your old bed prior to your bed being delivered we will not be accountable or responsible for any costs incurred for you to remedy the situation. 9.9(c) We cannot drill into your walls to attach fixings such as, but not limited to, wall mounted headboards, mirrors and wall straps on storage units etc. 9.10 On receipt of your products from our 2 man delivery service, it is important that you fully check that all items are in good condition before our delivery partners leave your home. The items will be fully unpacked and packaging removed to allow you to check your item. You will be asked to sign to confirm that you are happy with your furniture. In the unlikely event that a fault is discovered, you should notify our delivery partners at the time of delivery or if the fault is noticed after delivery, please notify us as soon as possible, within 3 working days. 9.11 If a fault becomes apparent within the first 14 days of delivery, you must notify us within a reasonable time as soon as you notice the fault, by emailing your name, order number, address, contact phone number, details of the issue and clear photographs as proof to customerservice@moodcollections.co.uk. One of our team will be in touch as soon as possible, we will aim to contact you within 5 working days, if you have not heard within this time frame, please re-send your request. 9.11(a) Please do not send anything back without a Returns Note Number as any returns sent outside this scope will not be processed and will be disposed of. 9.13 On receipt of your headboard, footstool, mirror or occasional furniture from our 1 man delivery service, it is important that you fully check your items as soon as possible after your delivery. In the unlikely event that a fault is discovered, you should notify us as soon as possible, within 3 working days. Please see clause 9.11 for more information on how to get in touch with us and the procedure for returning an item, including the necessity for a Returns Note Number prior to sending anything back to us. 9.14 If you change your mind about your upholstered furniture, occasional furniture or mirror purchase please notify us within 14 days of receipt by emailing returns@moodcollections.co.uk and we will arrange for a collection at a cost to you of £110. The cost of collection will be deducted any refund payable to you. If the product for collection is under the retail value of £110, you will be contacted to pay the difference and your collection will only be organised once we have received payment of the difference in cost. A refund will be given, minus any collection charges, where applicable, on receipt of goods by us, provided the goods are undamaged and packed within the original packaging. If your packaging was removed during your original delivery, new packaging will be provided by our delivery partners. Please ensure that you take clear photos of your purchase prior to collection as proof of return condition. In the unlikely case of any damage dispute, we will request that you send you photos via email as proof that there was no fault prior to collection. This does not apply to goods purchased from clearance or ex-display. All refunds must be made to the original method of payment. We will not refund delivery charges where applicable. 10.1 All orders must be delivered to your home within 2 weeks of you being contacted to arrange delivery. A non-refundable fee of £50 per week will be charged where we have been unable to agree on a delivery date with you, within the 2-week period. If after ordering you find that you can no longer take delivery of your items within the 6-week time frame, please make us aware ASAP (within 2 weeks) of ordering and we will arrange to hold back your order to meet your required delivery timeframe. 10.2 Orders that remain undelivered for a period of either 8 weeks after you have been contacted to arrange delivery or until the payment you have made to us no longer covers the storage charges, whichever is sooner, are liable to cancellation. We reserve the right to retain 50% of the order value plus any accrued storage fees. 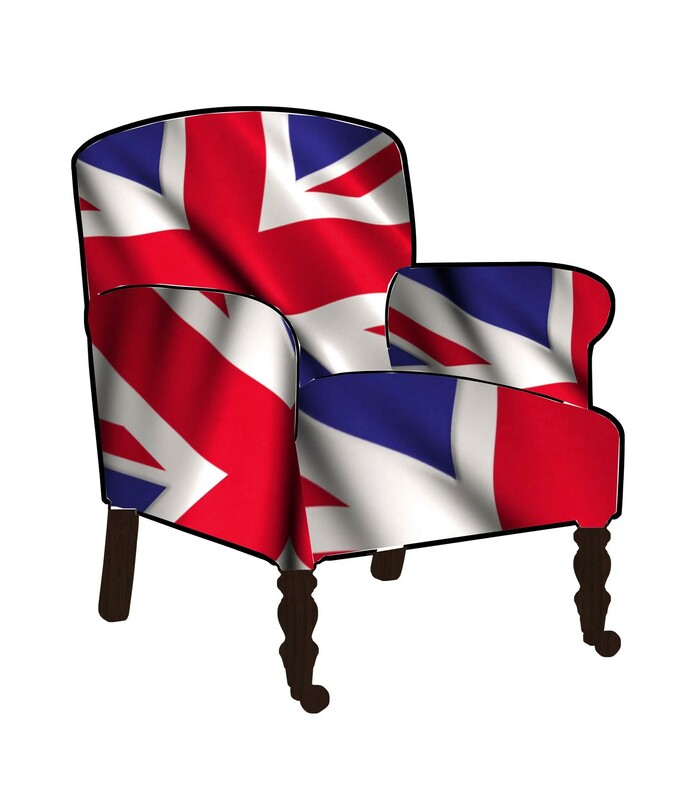 11.1 Standard Delivery to mainland UK is free on bedlinen, bedding cushions, throws, lighting, and accessories. 11.2 Standard Delivery occurs on Monday to Fridays only, please allow up to 14 working days for delivery. 11.3 Delivery of linens and accessories will be undertaken by our courier service or, if ordered alongside furniture and/or mirrors, they will be delivered as part of one single free delivery along with your larger items via either our 1 or 2 man delivery service. 11.6 If an item is faulty, please notify us within 14 days of receipt by emailing returns@moodcollections.co.uk, providing us with your name, order number, details of the problem with the product, your contact details and a clear photograph/s of the fault. One of our customer service team will contact you within 5 workings days to discuss and resolve the issue. 11.7 If you have changed your mind you can return your items by emailing returns@moodcollections.co.uk to notify us. We will provide you with further details of where to return your item(s). Please take a photo of your item as proof of condition prior to sending and then ensure that you package the items appropriately to safeguard against damage occurring in transit. The delivery cost will be covered by you, the customer and we ask that you send it back via a tracked delivery service to cover you in the event of loss by the carrier. If you wish to purchase another item instead, please place a new order. Once the goods are received and are confirmed to be unused, unopened and in their original packaging, we will issue the refund. Please allow up to 14 working days to process your refund once the goods have been received by us, the refund will take up to 14 working days after this to be debited to your account. 12.1 If you have any complaints about the products or service that we have provided, please contact customerservices@moodcollections.co.uk and we will do our best to resolve it. 13.1 Our liability is strictly limited to the value of the product and as such our liability to you in respect of all other losses shall in no circumstances exceed the value of the product.